UK-based car manufacturing rose 14.1% in October and is up 5.8% over the year-to-date while UK engine production rose 12.0% in October and is up 5.7% over the first 10 months of 2011..
exports and invests £1.5 billion each year in R&D. 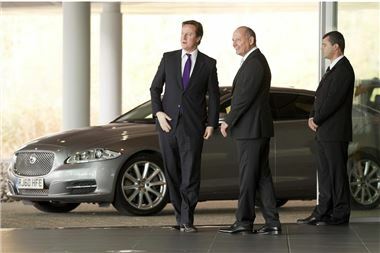 During the Prime Minister's visit to McClaren, McClaren Chief Executive Ron Dennis said, “In the UK, there has been an over-reliance in the past on the financial and service sectors. Now, industry is realising that Britain’s grand manufacturing tradition is a solid platform upon which to build – and I want the McLaren Group to play its part in the crucial recalibration of UK plc. Jaguar LandRover reported a healthy rise in profits and sales for the second quarter of this year - boosted by a 66% sales jump in China where it's looking to set up a new factory in a joint venture. JLR also announced a 9% rise in second quarter profits for the three months to September to £287million on the back of a 30% rise in global sales. For more details see SMMT’s Motor Industry Facts at www.smmt.co.uk/publications.